On Nov 10, the Human Rights Institute to hosted Hunger and Veterans, an event discussing the hunger issues pertaining to veterans. 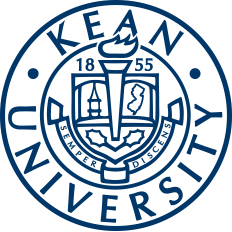 Kean University hosted Hunger and Homelessness Awareness Week from Nov. 10 to Nov. 18, a week that is intended to raise awareness and educate students on the effects of hunger and homelessness, especially because it is prevalent in the Kean community. Among the many service projects organized campus-wide, the Human Rights Institute (HRI) hosted a lecture entitled "Hunger and Veterans" on Nov. 10 to bring awareness to hunger issues pertaining to veterans. The purpose of this event was to show students the reality of what it is like for veterans to be food insecure, since they have a higher rate than the population as a whole. The event began with an introduction from Dr. Lauretta Farrell, the director of the HRI at Kean University. She explained that many students do not realize that hunger is such a problem for veterans, even though they have shown their dedication to their country. Dr. Farrell introduced the veterans, Greg Cross, a U.S. Army veteran, Tim Paxton, a U.S. Navy Veteran, and veteran Steve Hackenburg — who is also executive director of Friends of Valley Brook, a housing complex for formerly homeless veterans. Hunger and Veterans consisted of the veterans sharing their own personal experiences and sharing the stories of others that they know. They explained the struggles of not knowing when their next meal is going to be and having to pay for other things before food. They explained that the process of receiving benefits after providing their service is a very gray area, which is why many of the men and women do not know that they can get benefits. According to Hackenburg, Valley Brook Village is a community housing center for previously homeless veterans. It is a permanent housing situation for the men and women who used to serve for America to keep them off the streets. It is a very effective way to support veterans that are impacted by the issues of hunger and homelessness and furnish many people with a second chance to live their lives to their fullest potential. Moreover, Hackenburg said students can help with future solutions to the issues of hunger and homelessness regarding veterans. He said, "I'm an old man, and I'm not really bright. You are a room full of young, intelligent people, and I'm excited to see the kinds of ideas that you can come up with." 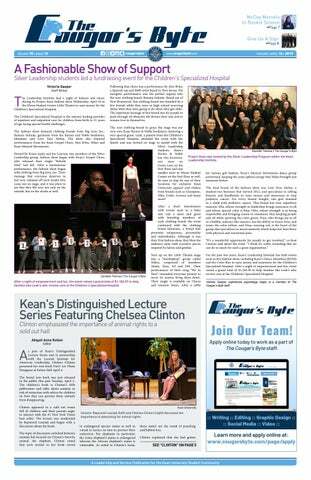 He emphasized that Kean students are going to be the next generation of people to have a voice and to make a difference. The audience was deeply impacted by the words that the veterans spoke at the Hunger and Veterans event. Many left feeling much more educated on the topics of hunger pertaining to veterans. The third lecture for Hunger and Homelessness Awareness week transpires on Nov. 29 from 4:30 to 6:00 p.m. in The North Avenue Academic Building (NAAB) Auditorium and is called Hunger & Conflict: 60 Minutes Goes to South Sudan.